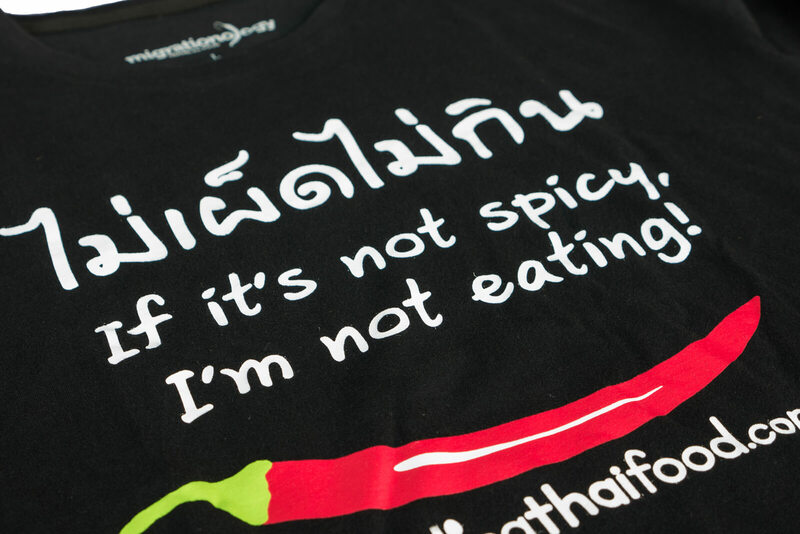 In Thai mai phet mai gin (ไม่เผ็ดไม่กิน) translates to “not spicy, not eating.” This t-shirt is for the spicy Thai food lovers. 100% pre-shrunk cotton. Green color. Made in Thailand. Shipped from Thailand. 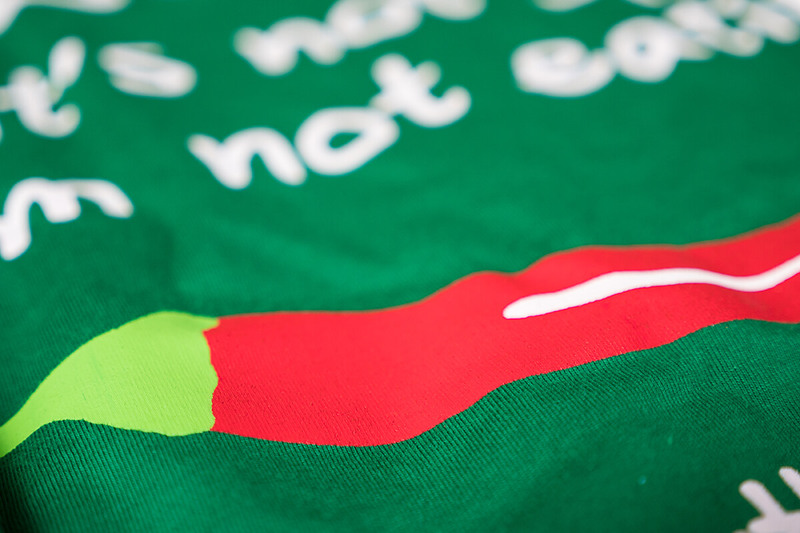 Get your “Not Spicy, Not Eating” t-shirt now. 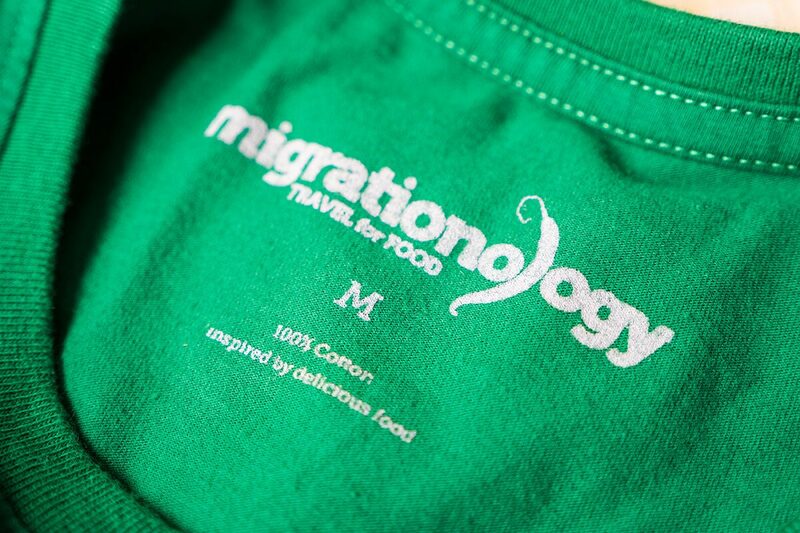 All t-shirts are made in Thailand and shipped from Thailand. They are high quality 100% cotton, pre-washed and pre-shrunk. They are the t-shirts I wear everyday. The t-shirts run on the smaller, or slim fit side. In other words, if you’re on the line between a Medium and Large, go for the Large. Also, the t-shirts are already pre-washed and pre-shrunk. 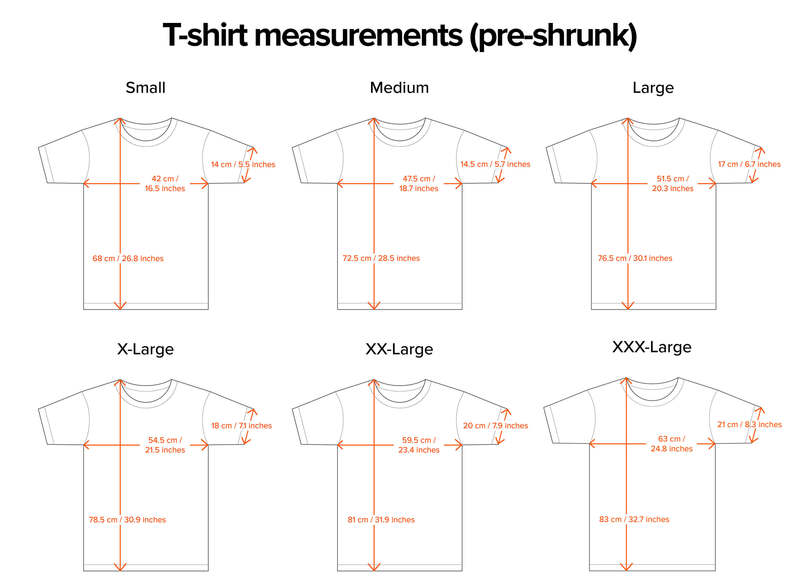 In order to make sure you get the right size you need, please take a look at the exact measurements on the chart below. 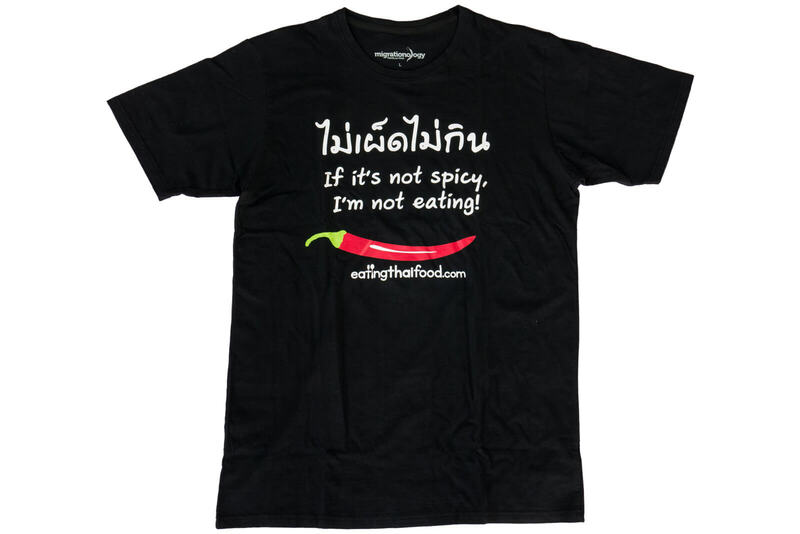 Your t-shirt will be shipped from Thailand, and it can be shipped worldwide. However, you will be responsible for duty and taxes in your country (more below #4). Shipping Costs: To most places around the world, shipping for 1 t-shirt is $8 USD, and each additional t-shirt is an extra $5.00 USD. If you’re in Asia, it’s $6 for 1 t-shirt, and $4 for each additional t-shirt. 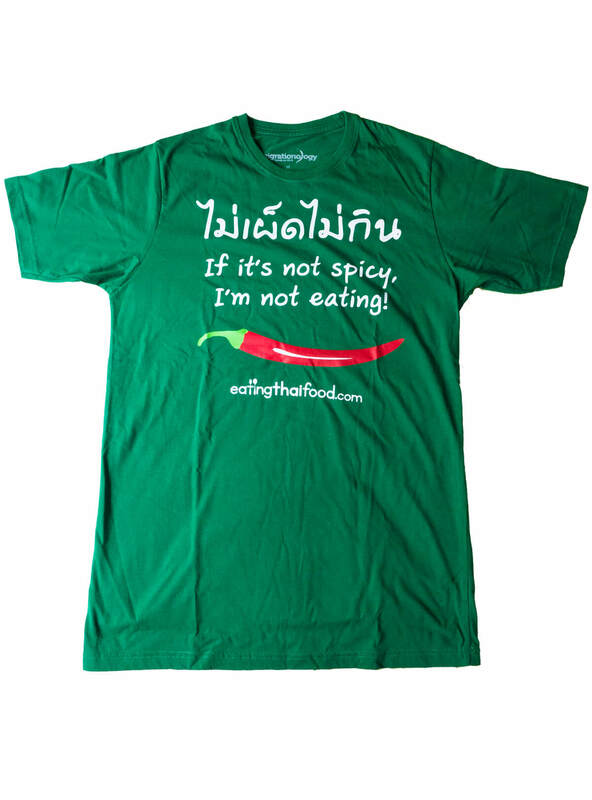 Shipping normally takes 14 – 21 BUSINESS DAYS and all t-shirts are shipped using Thailand Post. 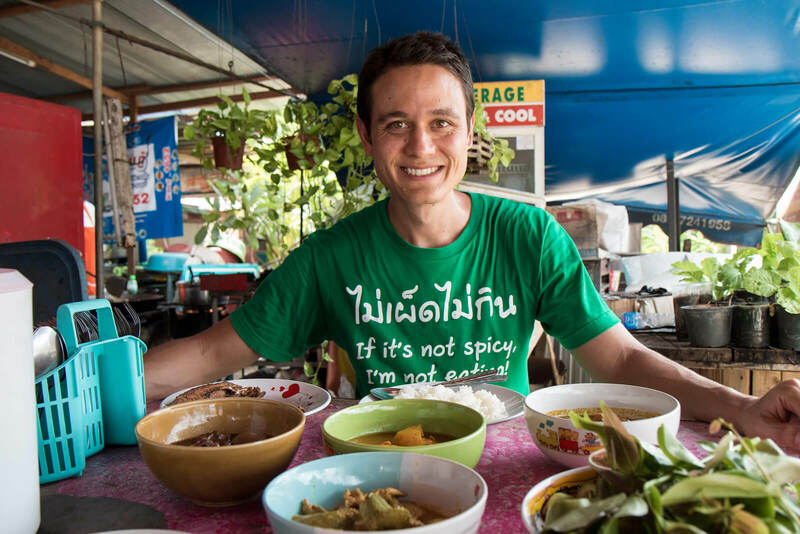 Are you living or visiting Thailand? 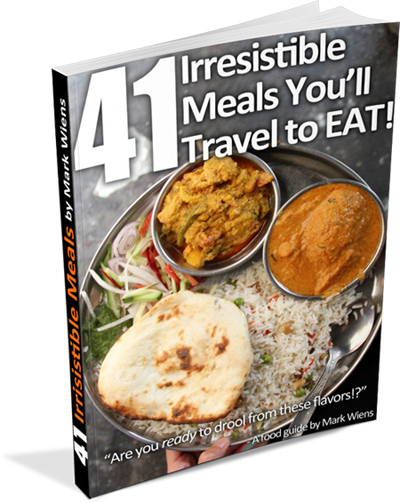 I offer FREE shipping within Thailand, but it may take a few days. 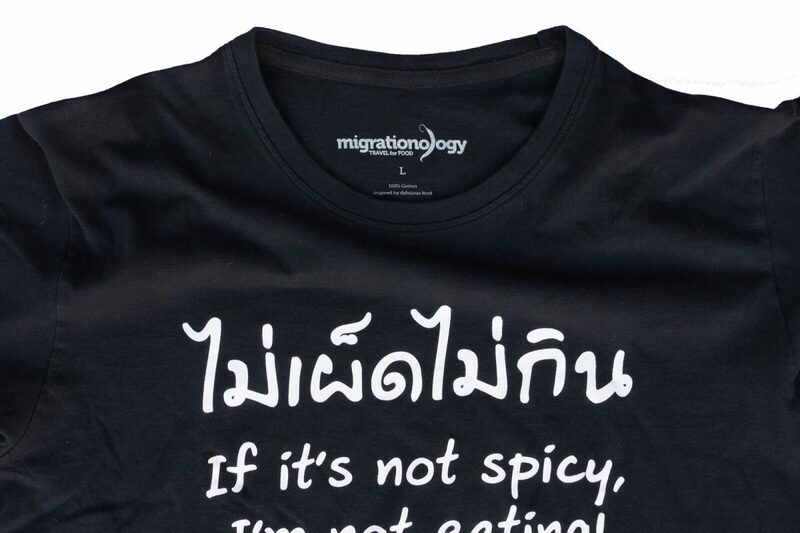 Do you need a t-shirt really fast in Bangkok? I can’t offer local pickup, but I can do express motorcycle delivery to your hotel / place you are within central Bangkok. Although I can ship worldwide, please keep in mind that you will be responsible for all duty and taxes (VAT) imposed on shipping to your country. However, due to the relatively low cost of t-shirts (compared to something like electronics) t-shirts are typically not charged much duty, but it really depends on your country. Please check your country and the duty and tax rules. Sorry about this boring stuff, but I want to be very clear about all this so that I can ensure you are happy with your t-shirt order. Questions? If you have any other questions, please don’t hesitate to get in touch with me here. And by the way, I wear a size Medium. And Ying my wife wears Small. Enjoy your t-shirt and thank you very much for your support!